We should have a screen cast for you and more details to follow. Lana will also be live on Loose Women Halloween 31st October 2018 and an additional date yet to come. Life Between Life Therapy – What’s it all about? Have you ever heard of Life Between Life therapy? Life Between Life therapy is one of the most exciting kinds of spiritual based therapies there is – it allows us to connect with our spirit, meet our spirit guide and join our “soul group”. In doing this, we are then able to experience enlightening that gives us the opportunity to ask the most profound questions. Life Between Life therapy gives us an insight into the spiritual world and allows us to access any state of consciousness beyond this life, particularly those between carnations. 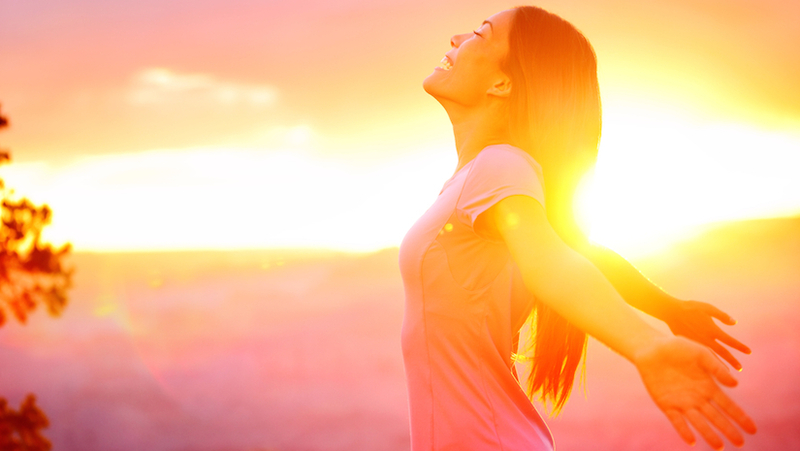 Life Between Life therapy was first discovered by a therapist, Dr Michael Newton. He was taking a client through some past life regression therapy and the client was presenting some particular challenges. It was because of this that he was able to find this new therapy, Life Between Life. Here at Past Life and Beyond, Lana will take a very precise approach to the therapy. Everyone’s session will be different because no one has experienced the same state of consciousness. The things you will reveal whilst engaging with the spiritual world will amaze you, surprise you and also be unique to you. Lana will guide you into the spiritual realm and will gently push you in the direction you need to go, but ultimately you are in control. Life Between Life therapy is a journey for you. Therefore it is important that youremain in control and youchoose the direction that you take. One of the most important features of any Life Between Life session is that good communication is upheld at all times between Lana and the client. Only then will you be able to untangle your thoughts and feelings with ease, explore your own self and your past selves on the deepest level you can and truly uncover the mysteries of your past to help gain a better understanding of your future. The idea of exploring the realms of spirits and different levels of consciousness between lives can be daunting; scary, even. But don’t fear – Lana will calmly and safely assist you on this incredible, exciting journey of self exploration and spiritual healing. Is the Key to Healing Hidden in a Past Life? Healing is an important part of anyone’s life. It could be physically, mentally or emotionally – healing needs to happen in many different situations. But could the key to healing be hidden in a past life? You’ve probably never thought about your past life – in fact, you might not even believe in the idea of having a past life. It is a strange idea at first and it can be difficult to get your head around, but you can be sure that we are all made up of all the lives that we have lived before. Our past life can often have an impact on our present self – yes, really! Whilst we aren’t conscious and aware of it, our past selves can prevent us from overcoming fears or traumas and even prevent us from healing emotionally. Have you found that you’ve tried several times to heal your mind, some emotional scarring or even some continued physical pain and not been able to? Maybe you continue to experience the same problems time and time again. Are you constantly relapsing into an addiction, injuring the same part of your body, struggling with a mental health problem or even something more serious, like a chronic illness that seems to have arisen out of the blue? It can be nothing if frustrating to experience issues like these without even being able to resolve them or to find an explanation as to why they’re happening. Traces from our past life that can still be found in our present selves are referred to as “residue”, or in some cultures, “karma”. This residue, or karma, can linger from a past life and continue to have an impact on our present self, allowing repeated issues to continue to blossom and grow, rather than to heal and reach a conclusion with closure. In any given lifetime we are presented with the chance to work through each of these problems, such as poor health or emotional difficulties, in order to allow our spirits to keep on evolving and to make sure that each life we are given to live is better than the last. If you can’t quite grasp the concept of karma, think of it almost as the leftovers of experiences where you didn’t get closure. Your spirit, and your soul, needed to learn and grow, and ultimately take something away from a certain experience and it didn’t quite get the chance to. This means you still have more work to do, so your soul will continue to live through similar situations, experiences and circumstances until you’ve completed the lesson you were supposed to learn and fulfilled the growth you were supposed to experience. In order to be able to do this fully, you need to be able to explore your past lives to gain a better understanding of the issues you are facing in present day. If you don’t allow yourself the opportunity to dig into the past lives you have lived and allow yourself the chance to unearth the root of the problem, therefore overcoming the difficult and sometimes negative emotions and energies that continue to linger in your life today, you’ll find that you will just keep on repeating the past. Digging through your past lives, using therapies such as Past Life Regression(PLR) and hypnosis, you can explore much about your past lives and the things you may have gone through and experienced previously. This will reveal to you the reasons why you’re facing certain challenges and difficulties in this lifetime and will also guide you on your way to transforming them. Exploring your past lives will allow you to have a firm and more complete understanding of the person you are today and the life you are living right now. Once you have a better understanding of your past life, you can being to grow your soul and allow yourself to begin healing in your present life, now that you have access to the cause of the problem. Exploring the past can better your future and allow you to live a far greater and more fulfilled life. Your soul needs to evolve. Somtimes you need to take two steps back before you can move forwards. Book a session with Lana today to find out more. Coming soon… Life Between Life Therapy – what’s it all about? Past Life Regression (PLR) is probably something you haven’t heard of before and, at first glance, probably sounds a little daunting too. It’s nothing to be scared of though – in fact, PLR therapy is something that can be incredibly useful to you for a number of reasons. If you are suffering from certain kinds of fears or facing some obstacles and/or challenges in your day to day life, Past Life Regression therapy can not only help you to understand the source of these fears and challenges, but also can guide you to help overcome them too. Past Life Regression therapy allows you to recover memories of past lives or reincarnations that might be affecting your present self. During your session, you will be guided back to a significant previous life that your subconscious will select as being most beneficial to you and your present life. This selection of memories will then allow you to uncover important issues that may have happened to you, or problems and fears that were never addressed and, as a result, have begun to have a significant impact on your present day life. Many of your personality traits and behaviours, experiences and the way we process them can all be linked back to your past self, with everything being unknowingly stored in your subconscious. Every life you have experienced since the beginning of time is stored in your subconscious, and a Past Life Regression therapy session can assist you in uncovering these various selves. 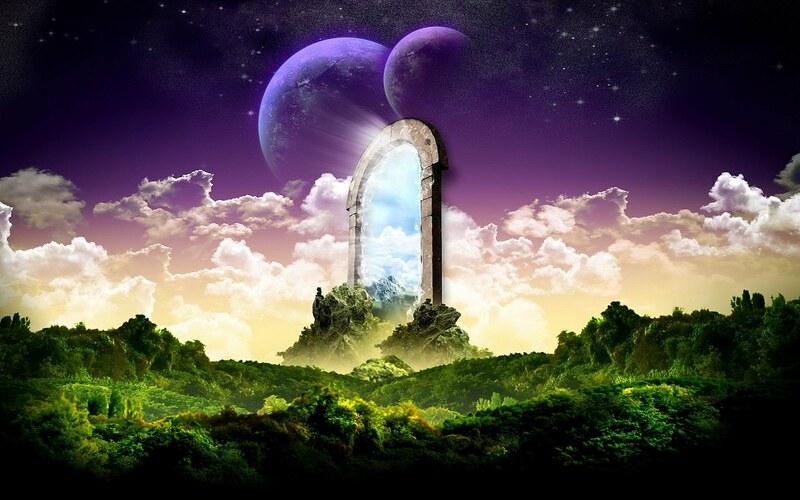 A Past Life Regression therapy session takes place whilst under hypnosis. Unlike a lot of hypnotherapy sessions though, the hypnosis method used for PLR allows you to remain in complete control of what happens. It’s almost like letting your subconscious have free reign – it will take you where you need to go and uncover what it needs to in order to deal with present day problems. Whilst you will have someone there to guide your spirit, you are in control and you decide what happens during your therapy session. Coming soon… Is the Key to Healing Hidden in a Past Life? Past Life and Beyond provides a link between your past, your present and your future through a number of intense therapies from an accredited member of the Newton Institute, Lana Spitz. Lana is a practitioner of Iridology, Hypnotherapy, Life Between Life therapy and Past Life Regression therapy. She has dedicated most of her life to helping people explore and understand the realms of the body, spirit and mind, bringing compassion and vision to her practices. As a healer, she provides a safe space for you to begin your exploration into your soul, your past self and your spirit. At Past Life and Beyond, we offer a number of different services, including sessions in Quantum Consciousness, Life Between Life therapy and Past Life Regression therapy. Using years of experience and some incredibly safe and comfortable techniques, Lana is able to guide clients on spiritual journeys that they could only ever dream of, uncovering secrets about their past that can unlock mysteries in the future. The mind, body and soul are really all so deeply connected, as are our three main selves – our past, present and future being. By allowing ourselves to dive deeper into the realms of consciousness, we can gain a far deeper understanding of who we are and why we are here, expanding our awareness to new levels we would never believe to be possible. Each of the therapies offered at Past Life and Beyond allow us to gauge a deeper understanding of the reason for being here, right here in this exact moment. The therapies and treatments available here allow us to get in touch with our souls and, in turn, assist our souls in unravelling hidden information about our past, our present and even our future. Any information discovered on a soul – level during these sessions can aid you in a number of ways in your present life, including helping you to tune in more sensitively to connections with other individuals (such as your soul mate), can influence the way you live your life and the choices you make and, in some cases, can even assist you in healing from past traumas by allowing you to gain a further and more in depth understanding of them. A lot of people are sceptical when they first hear about these kinds of therapies and treatments, but there is science to it all. Yes, really – science and spirituality really are connected. Anything to do with the Quantum links back to science – quantum physics, quantum realities, the quantum field. And, of course, quantum consciousness. Welcome to Past Life and Beyond. Embark on this beautiful, spiritual journey with us and learn more about yourself and your connection with the universe along the way.